Hello! 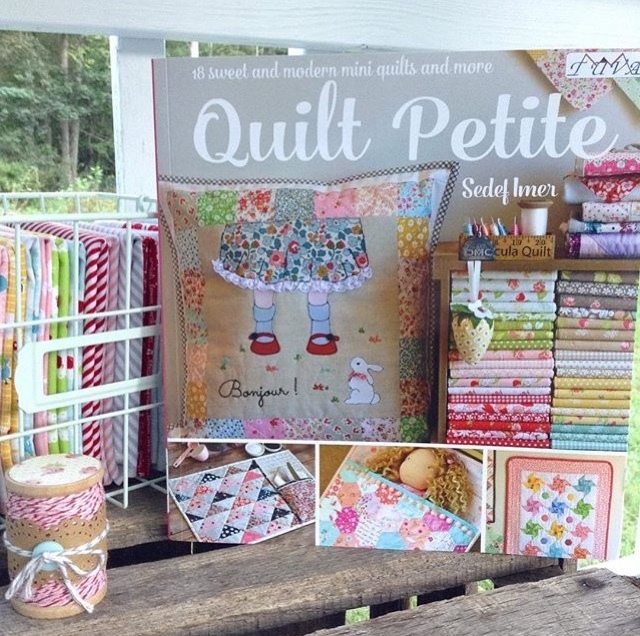 Today is my stop on the Quilt Petite Blog Tour celebrating the beautiful new book by my friend Sedef Imer of Down Grapevine Lane. I have loved Sedef's work for a long time. 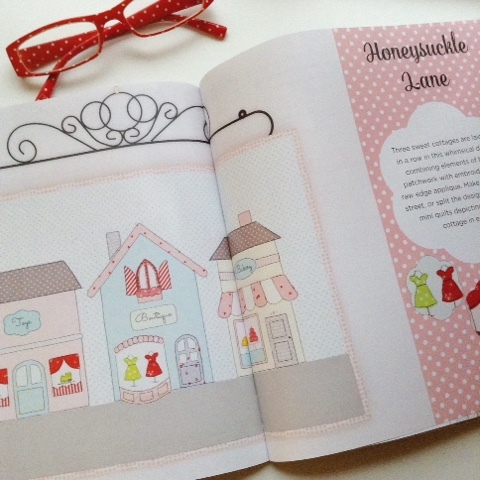 Her book has the sweetest projects with such pretty pictures. She is such a talented lady and I am so happy that she wrote a book to share that talent with all of us. The projects are adorable. 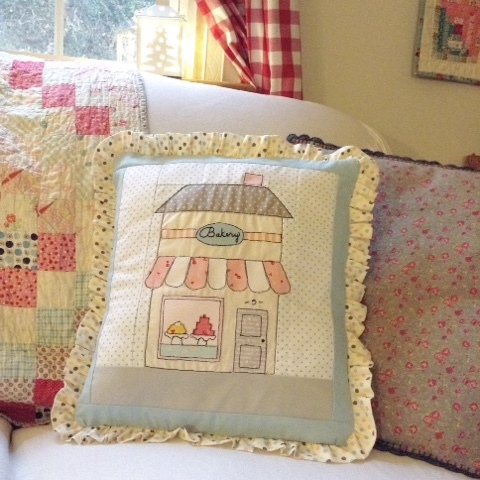 There are mini quilts, pillows and home goods. It was fun choosing what to make for the blog hop and I know I'll be making things from the book for gifts too. I loved this quilt from the book. Isn't it the sweetest?! 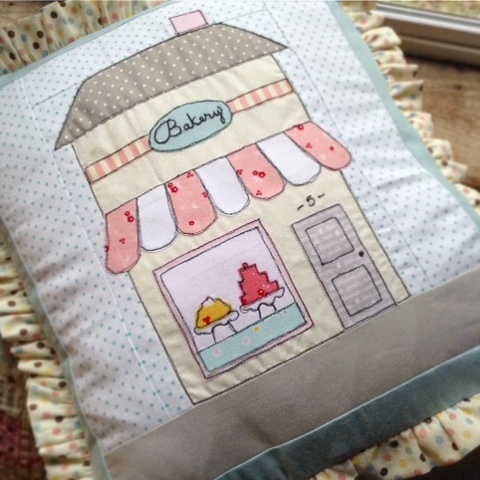 I've been making a stash of pillows this past year, or trying to at least, and I thought I'd take the "bakery" block from the quilt and turn it into a pillow. The directions were clear for the piecing and the templates were great.Of course, I love using the free motion applique technique on this project. I tried to make bakery nearly identical to Sedef's bakery in the book because I thought it was just perfect and I loved the colors she used. I was happy to use some of her pretty Sweet Orchard fabric. I was going to use pom-poms for the edge of the pillow but decided to use this cute older Lecien polka dot print to make a ruffle instead. Doesn't it look like sprinkles? 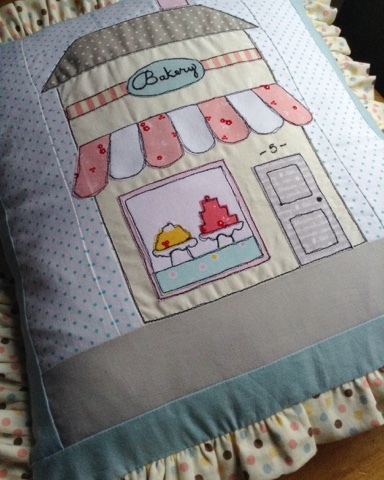 I thought that was just right for the bakery! 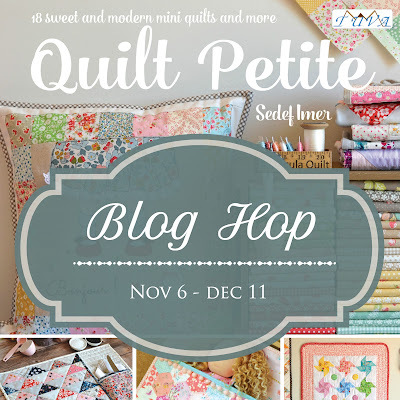 Check out the pretty makes form others in the blog hop! 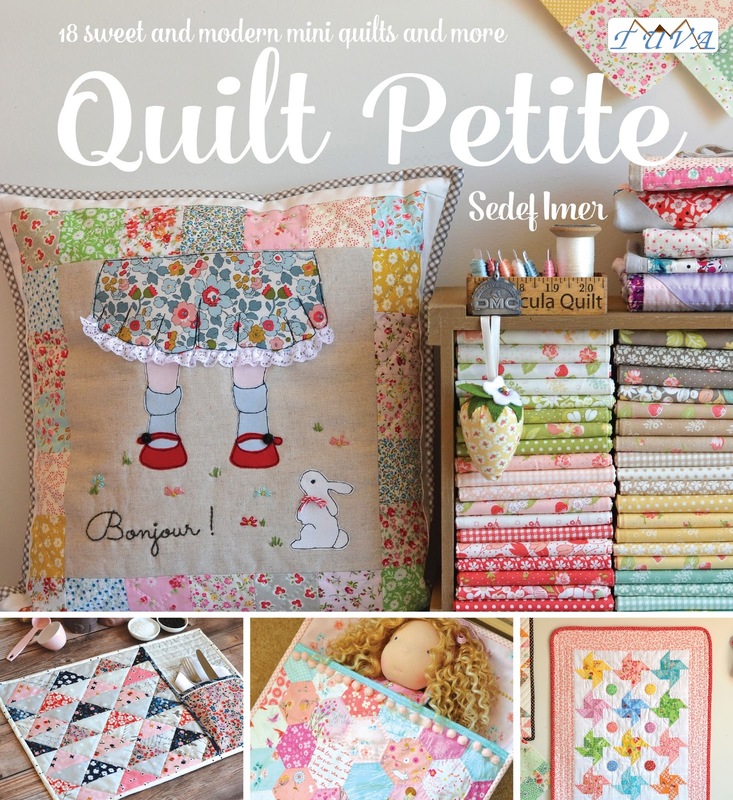 And be sure to go to Sedef's blog to enter her lovely giveaway full of lots zakka goodies, fabric and a copy of her book!! 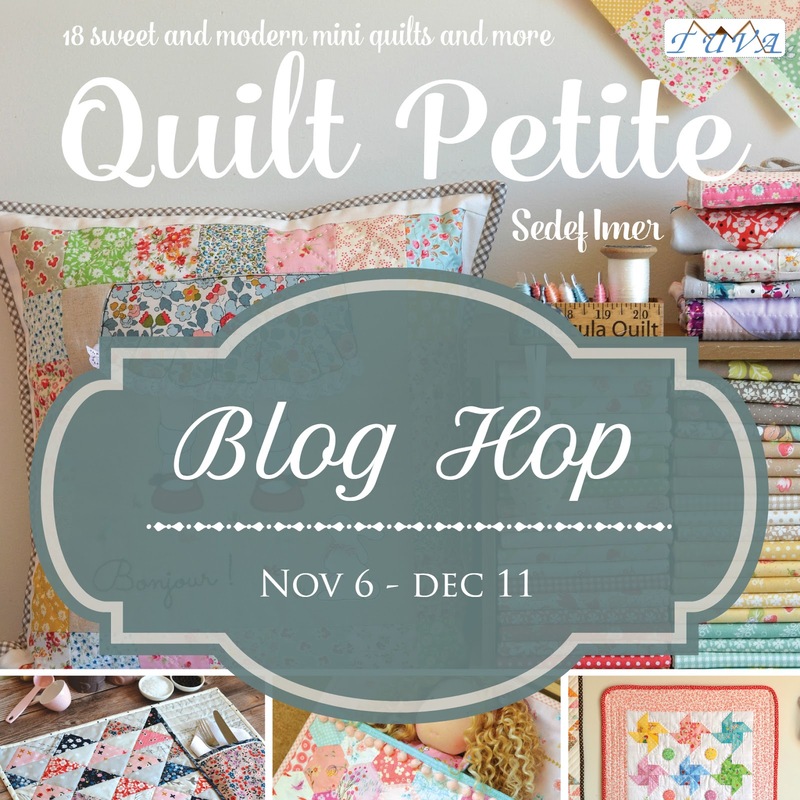 Thanks so much to Sedef and Tuva Publishing for including me in the blog hop!